Let’s keep this intro brief. 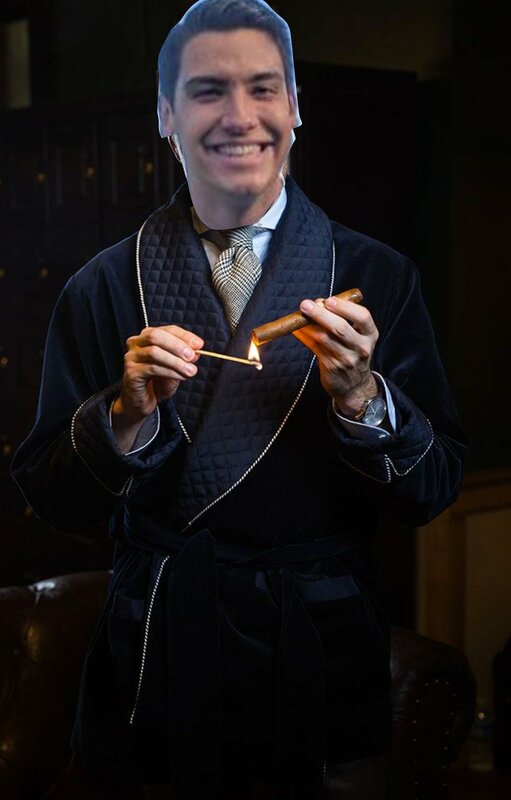 There’s no better feeling than making money during the Holiday season. Amidst the chaos of what can be Thanksgiving Day, I find solitude in focusing on the first bunch of games and setting the tone for my day. When we win, we stuff our face in celebration. When we lose, we stuff our face in defeat. It really is a win-win situation on Thanksgiving. Happy Thanksgiving! We here at Our Sports Report hope that you are spending this week with friends and family, eating lots of food, and, of course, watching football! It is rivalry week, which means all the high profile matchups where anything crazy can happen. Kick six? You know Auburn fans are praying for something similar in the Iron Bowl this year. The Apple Cup? Should be a great matchup. Oklahoma and West Virginia? All. The. Points. The bottom line is this is Thanksgiving. Go be with your families and enjoy the company, then hunker down Friday with as many screens as you can find. It is SoCon week! The week where the SEC plays their FCS cupcake before taking on their most hated rivals. In other words, usually a pretty drab weekend. If, however, you stop caring about the top 5 for a second, there are some interesting games on the schedule. West Virginia and OK State? P O I N T S. Northwestern and Minnesota? That could actually be a sneaky good football game. You know the Gophers will be rowing the boat. And Notre Dame taking on Syracuse in some of the worst uniforms ever? Watching OSR’s Mikey Valacer, a fanatic Boston fan and Notre Dame alumnus, deal with the pinstripes is going to be fantastic. We would share screen shots of the OSR group text, but we probably would have to redact most of what he says. Let me begin by saying, this weekend’s slate of games STINK. They stink out loud. I’m still in the business of making money, so that’s exactly what we are going to do, I just won’t be as reckless with how much I wager. Who is the best college football coach in this era alone? That would be Nick Saban. This man has accomplished so much in this lifetime; 218 games, six national championships, nationally ranked class every year at number 1, how can you stop this man from achieving greatness? The answer...you can’t. Saban has been called a god of college football for a reason and at 67, he’s not slowing down just yet. Last Saturday was pretty boring by college football’s lofty standards; it featured victories for the entire top ten, and few of them were particularly difficult. This upcoming week’s slate does not look like a great candidate for entertaining games either. So it goes in college football. This college football season is extremely top heavy. Quiet weekends like the one behind us sometimes are as boring as we thought they would be. Notre Dame and UCF have ranked opponents, but both are favored by more than a touchdown. Anything can happen, but don’t hold your breath for the Citadel to scare Alabama. We might be in the midst of the best betting season of the year. We’re in the middle of 27 straight days of football, thanks to the return of MACTION, college basketball is back, and some people even dabbled in the Midterm elections. Don’t worry, we are sticking to sports on this blog, and ready to get back to our winning ways. Last week was a bit of a disappointment with our picks, but also because I think we all realize how unstoppable Alabama truly is. Things are sure getting wild in the world of College Football. Bama proved their dominance last week in a shutout win. Northwestern is poised to make a run at the Big 10 title. And GameDay is heading to Chestnut Hill, MA for Boston College versus Clemson. Hang on tight, because we are in for another great weekend! The end of the college football season is near, and the true contenders are weeding out the pretenders. Alabama likely ended LSU’s playoff hopes with a slow yet decisive beatdown on the bayou. West Virginia likely ended Texas’ hopes of winning the Big XII, thanks to Dana Holgorsen and Will Grier’s cojones late in the fourth quarter. Therein lies the biggest takeaway from this week: if there are a lot of one-loss or undefeated teams from Power Five conferences, it’s because those teams have yet to play each other. Georgia and Alabama booked their tickets to the SEC title game this weekend. Michigan ends the regular season at Ohio State. Oklahoma and West Virginia still have to play each other, and may have a rematch in the conference title game. Furthermore, rivalries are coming. Can Oklahoma survive up-and-down Oklahoma State? Can Auburn beat either of its most hated rivals, Georgia or Alabama? Will Notre Dame win at USC for the first time since 2012? Many of the hypothetical debates posed by these rankings will be resolved organically. There is so much room for chaos that nothing is certain. Except for Bama. I’ve mentioned it before, but I’d like to address it again as it impacted our Season Record. I cannot stress enough how important it is to get the best of a number. We took an L last week as Penn State only beat Iowa by 6, failing to cover the 6.5 spread highlighted in last week’s column. BUT if you’re a pro like me, you got this game at a 5-point spread and made some money. Two games this week stress the importance of getting the best number. So let’s do this thing and continue cashing winning tickets. 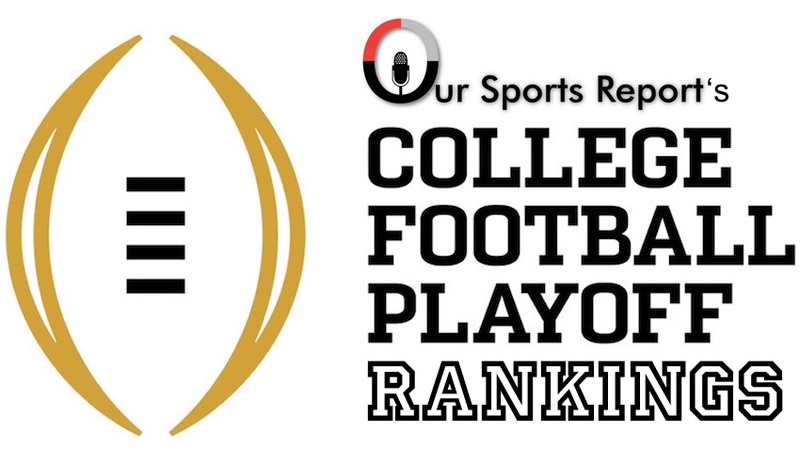 So, the first rendition of the college playoff rankings were revealed and discussed on Tuesday night. There weren’t any major surprises. There weren’t a lot of arguments to be made for the top 4 teams that were listed in the committee’s projections. For a system that I find to be sloppy and almost cringe-worthy, the projections were just fine for the four playoff participants. The playoff rankings are out! No, not the CFB Playoff Committee ones. Those do not matter. The OSR ones! Make sure to tune in every Monday to see where the OSR Committee has each team ranked! There are some huge games to consider this week. Temple is going to test UCF on Thursday night. Georgia and Kentucky are throwing it down in a huge game for both teams, and numerous other important conference games are taking place, but the focus of the College Football world will be on Baton Rouge. #1 Alabama. #3 LSU. Grab a beverage of your choice. Make sure all the grilling is already done. Cuz this should be good. So take a look below and see how we think the games this weekend will play out! As October draws to a close, the discussion around the College Football Playoff is in full force. If the season ended today, the top three would be Alabama, Clemson, and Notre Dame; in fact, all seven voters in Our Sports Report had those teams in that order at the top of their ballots. Those teams will likely stay in their current positions until someone can upset them, but the fourth spot in the Playoff remains wide open. There are currently eight power five teams with one loss, and no one knows if the committee will continue to hold unbeaten UCF’s strength of schedule against the Knights. All told, that’s 12 teams with a chance at being in college football’s Final Four. We can’t know how the last five weeks of the season will unfold, but here’s how the geniuses at OSR believe the teams currently stack up. I’ve been on the McKenzie Milton bandwagon for awhile now, but with all the other quarterbacks worth talking about, I’d be remiss if I didn’t start talking about another big-ticket play-caller: Tua Tagovailoa. The Alabama quarterback has taken college football by storm, and it started in the championship game last year when he took over for Jalen Hurts and led the Crimson Tide to a(nother) championship.